This Bunk Bed is 2 beds! somebody sleeps on the Top and someone on the bottom. Get ready for a Sleepover. i Know right :) The toilet allows you to bring up your food bar 13! :) after using it the water in the toilet will turn yellow and you will need to flush it. A table just like what it sounds like tables can be connected to make a bigger table. You can make a sandwich with Raw Porkchop and Cooked Porkchop. Cooked Porkchop raises 9 food points raw porkchop raises 7. This gives you 3 slices of Pumpkin Pie. Each slice raises 4 food points. If you eat all 3 your get 12 food points in all. works with any type of sword. You can either use raw chicken or Cooked chicken. Cooked Chicken brings up 7 food points. But raw chicken only brings up 4 and has a 20% change of poisoning you. This does 10 ( ) damage. Tells you how many seconds and minutes until it is night time or day time. This fills up 9 food points. does 9 ( ) damage. Works just like a bow and arrow but does less damage. These are Headphoness with a really cool way to use them! Just put them on your characters head and right-click with them on a menu will pop-up. Just type in the title of a Music song. And then it plays it while you play minecraft but once you take the headphones off The music Stops. Works just like a bow and arrow except. You throw the boomerange then it comes back to you. Does 7 damage. This gives the shoes +2 armor points. Works with any shoes. This makes it so TNT does no damage to you. Gives player +1 armor point. Wear it where you would wear your leggings. SnowBoards can only be placed in a snow biome on a hill. Once placed on a hill and the player gets on it, It starts going faster than a minecart. Skateboards are just like Snowboards. 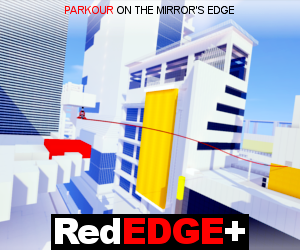 Except Skateboards work in any biome except the snow biome. And they don't need to be on a hill. Store as much as you can in 1 chest inside of this. And wear it by putting it wear you would but your chestplate on except it'll be on your back. Gives you 9 food points. Can't use raw potato. Once given to a player It stops the player from moving their hands, and holding anything. Unless they use a key. You can use cooked porkchop or raw porkchop. Cooked porkchop gives you +10 hunger points. And Raw porkchop only gives you 6. Finn's Hat Gives +2 armor. This pistol works just like a bow except does 12 damage. Ammo are bullets. This Bazooka works just like a pistol. Uses bullets. And does 13 damage. A poisonus arrow does +2 damage than a regular arrow. A dessert hat can be worn on your head for +1 armor. And is edible for 14 hunger points. This works with any armor. If you use diamond armor you use a diamond chestplate and diamonds to the side. It would be called "Long Sleeved Diamond Armor" it gives armor +2 armor. Does 14 damage. Works just like a bow. But you have to retreive your ninja star. Gives player +1 armor. worn on your chest. Cannot wear a chestplate with it. Can only be used with red wool. Worn on Where you leggings should be. You can store things in it like a backpack. This is from Uncle Grandpa hehe. Can be used with either iron ingot or gold ingot. Any kind of Potato will work except poisonus potato. gives player. Using baked potato gives you +10 hunger. Regular Potato gives you +5 hunger. Wear it on your head. Gives player +1 armor. This is as much as i am going to do. 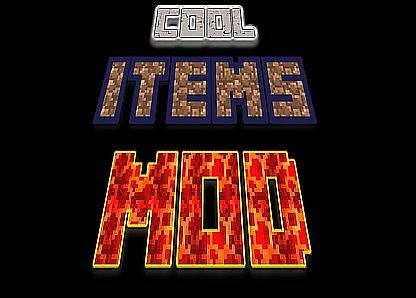 I am making the mod for real and i will try to do most of the items in this.